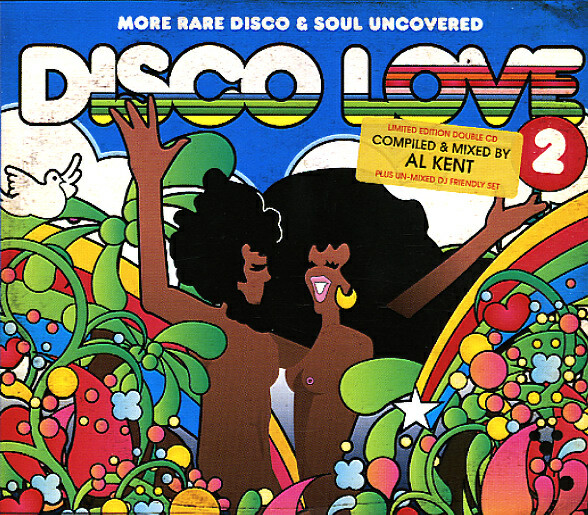 Funky disco and rare soul compiled by Al Kent – Disco Love 2 on BBE – once again going a lot deeper into the soulful underground of the late 70s and coming back up with some incredibly fresh rarities! Al Kent hails from Glasgow, but we honestly couldn't tell you where most of the singers and groups on the set are from – but we can tell you it's a great batch of underground tunes, some soaring and straight up disco, others with a more thumping, rawer or funkier groove – all of it perfectly pitched to the dancefloor. Includes "Joey's Tune" by Plazza Suite", "I Think I'll Do Some Stepping On My Own" by Sandy Barber, "I've Got The Need" by Spooky & Sue, "I Can Make It On My Own" by Vessie Simmons, "Make Love To You" by Scarbrough, "When Did You Stop" by The J's and more. 8 long unmixed numbers on the 2LP version. © 1996-2019, Dusty Groove, Inc.